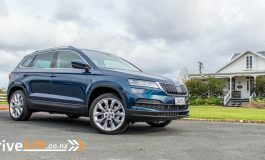 The Kodiaq has gathered a strong following in New Zealand, due mainly to its sharp initial pricing and also of course taking out the 2017 Car of the Year award. For 2019, ŠKODA is bringing us an RS model – apparently the fastest 7-seater to go around Nürburgring’s Nordschleife track. That some claim to fame, and we are now looking forward to getting one to test. 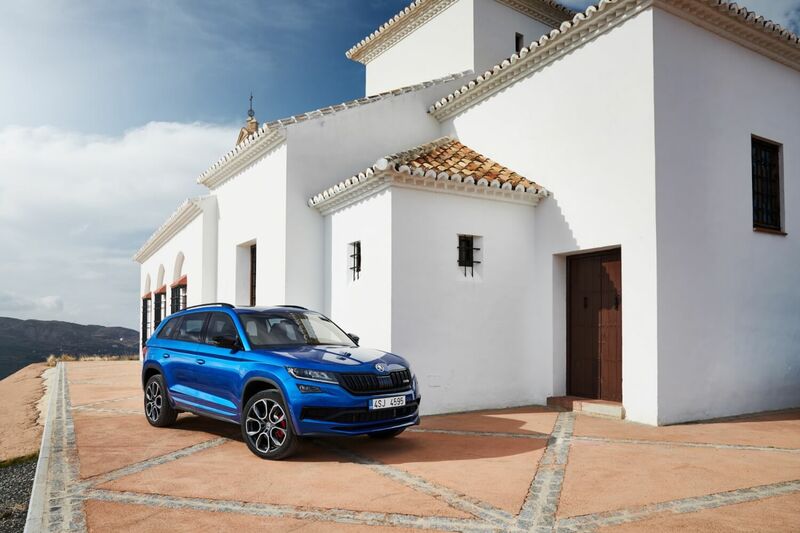 The first SUV in the portfolio of ŠKODA RS models with its 176 kW and 500Nm bi-turbo diesel engine, but also with its motorsport inspired design, highlights in high-gloss black and 20-inch Xtreme alloy wheels. The New Zealand Car of the Year 2017, the ŠKODA Kodiaq has been given the RS treatment which includes fitment of the most powerful production diesel engine in ŠKODA history. 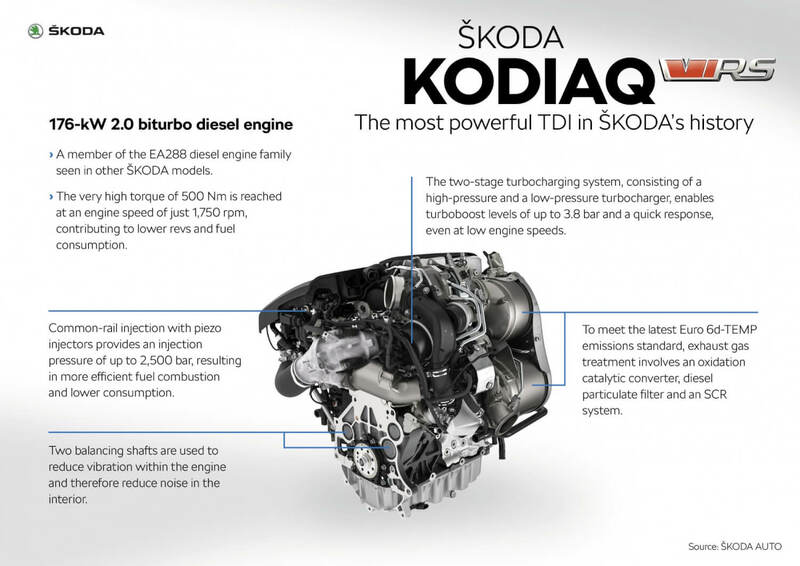 The core of the ŠKODA Kodiaq RS’s powerful 2.0 TDI is its two-stage biturbo technology. The 2‑litre engine features two complementary turbochargers connected in series. The first is a high-pressure exhaust gas turbocharger with a small turbine, a small compressor wheel and electronic turbine blade adjustment. 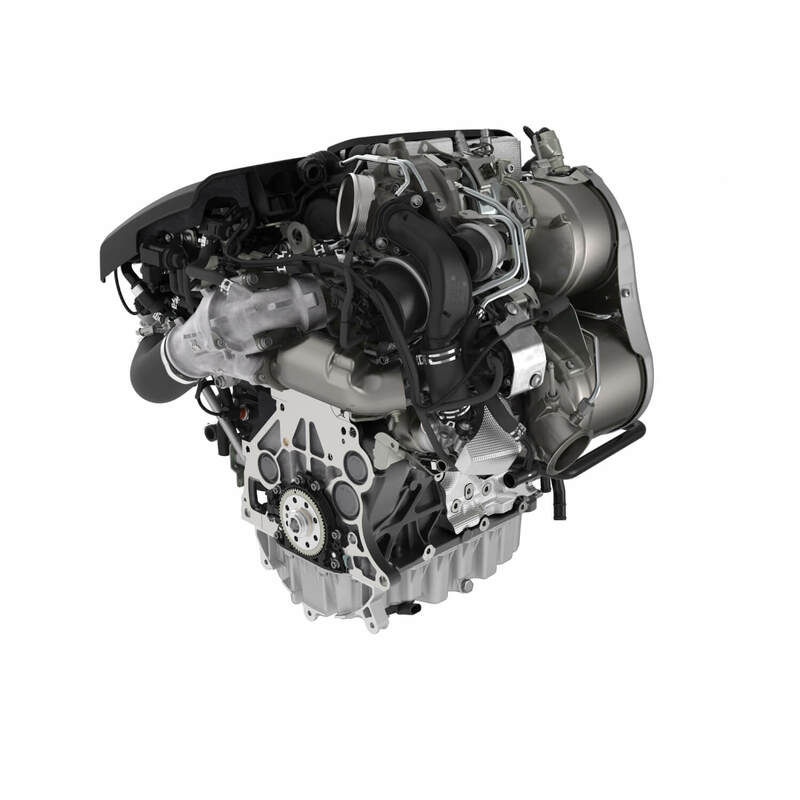 This structure allows for an immediate response, even at lower engine speeds. The second turbo is a low-pressure charger. With its large turbine and compressor wheel, it achieves a considerably higher boost pressure of up to 3.8 bar at high engine speeds, which increases the engine output considerably. At lower engine speeds, the chargers work in two stages. The low-pressure charger is responsible for the pre-compression of the air drawn in; the high-pressure charger is responsible for the main compression. At high engine speeds, only the low-pressure charger is used in single-stage operation. Structured in this way, the turbo system apparently guarantees continuous power output with a short reaction time and high peak values. 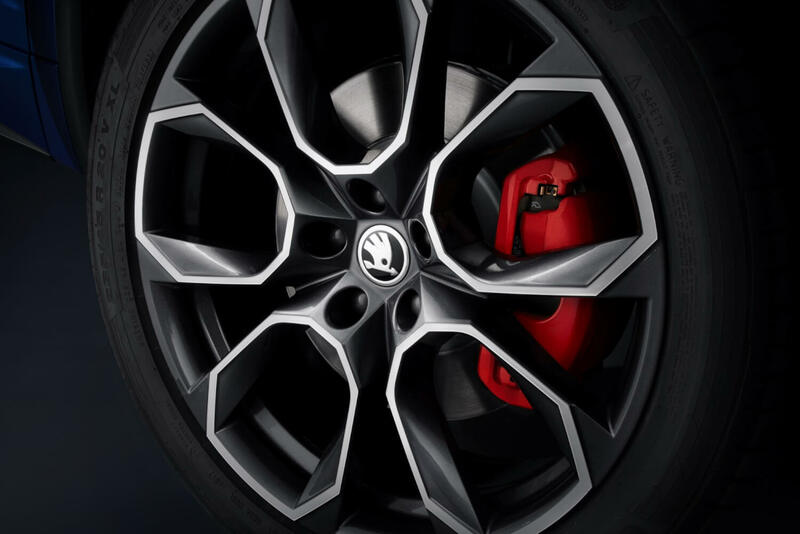 The ŠKODA Kodiaq RS features the most powerful brake package in the ŠKODA range, with 17-inch brake discs front and rear with RS specific large 2-piston callipers in red providing a strong braking performance. The brake package is clearly visible thanks to the unique, lightweight 20” Xtreme alloy wheels. The latest features and technologies are available in the Kodiaq RS – it’s the first model in the ŠKODA range to come with Progressive Steering with RS configuration, supposedly giving the Kodiaq RS better handling and agility in curves. ŠKODA’s RS engineers developed specific suspension and drivetrain settings for the new Kodiaq RS**. 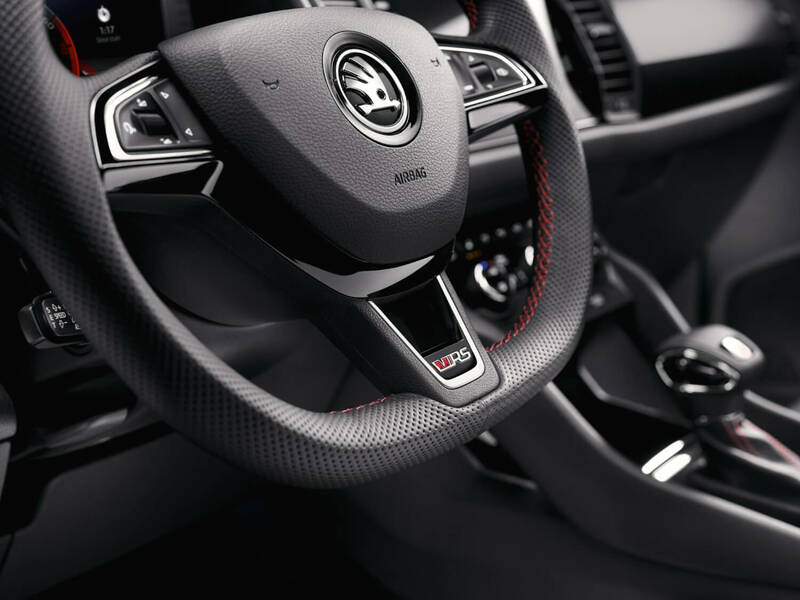 This RS configuration paired with the Dynamic Chassis Control offers several modes that change both the stiffness of the shock absorbers and other vehicle settings to create what Skoda says is a “powerful and engaging driving experience everyday”. The Kodiaq RS is already a record setter on the Nürburgring’s Nordschleife track – the world’s most challenging racetrack. 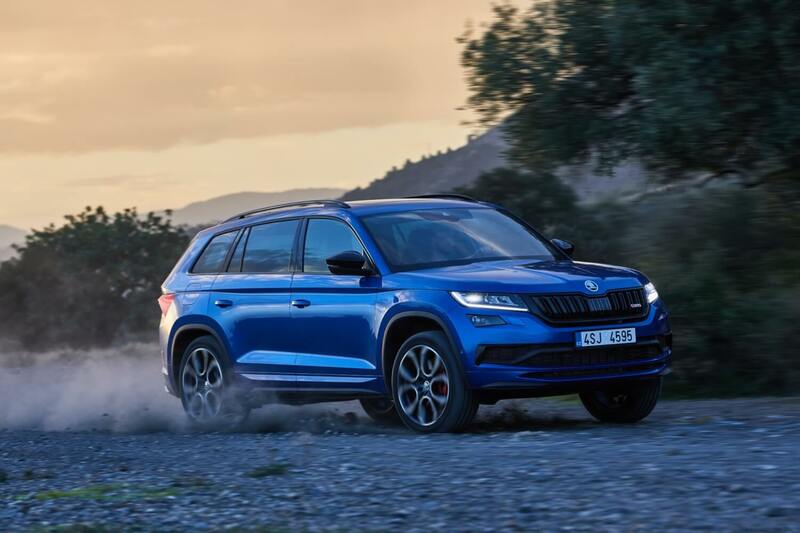 With racing driver Sabine Schmitz at the wheel the Kodiaq RS was put to the test coming in at 9 minutes, 29 seconds and 84 hundredths of a second. 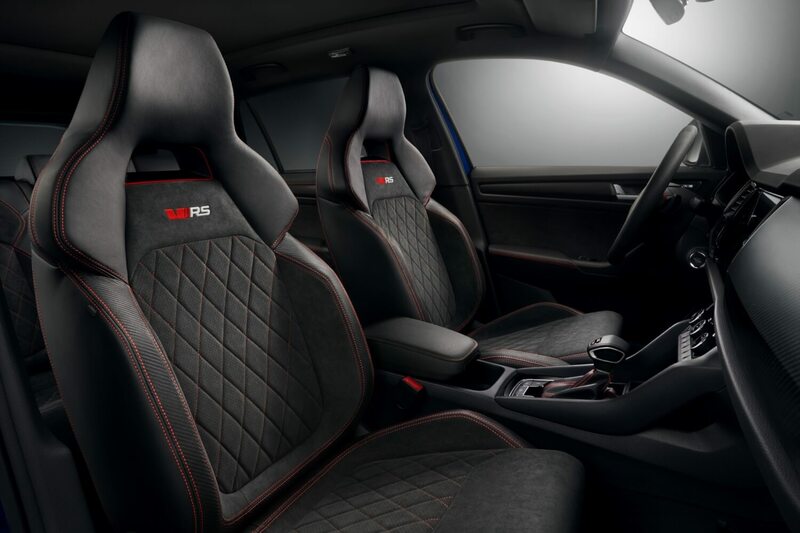 It’s the fastest seven-seater SUV to complete the Nordschleife. Styled with plenty of black accents – its striking radiator grille, its roof rails, window frames and wing mirrors all come in high-gloss black. The rear is shaped by two visible tailpipes below the bumper and a reflector that extends across the entire width of the car – the distinguishing feature of all ŠKODA RS models. 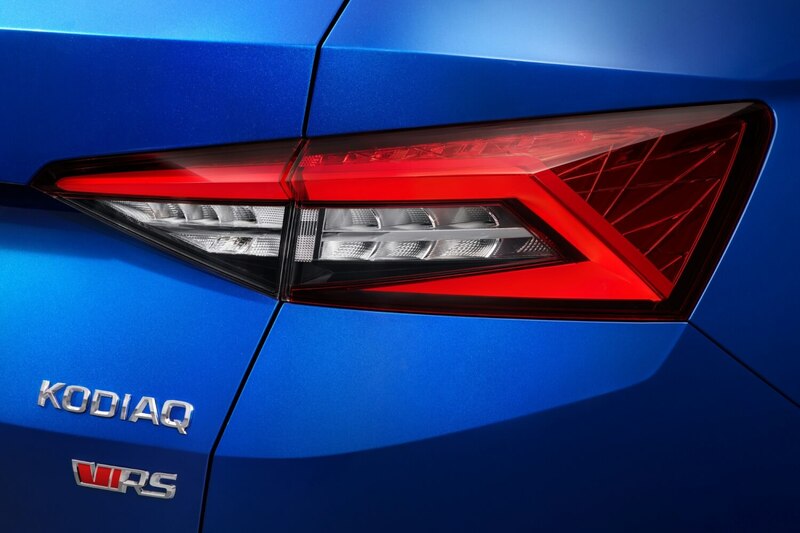 In addition to unique RS engine, drivetrain and suspension components, the ŠKODA Kodiaq RS comes with many ‘firsts’ – the first ŠKODA available with a full Digital Instrument Panel, the first ŠKODA SUV available in Race Blue Metallic and with the heated sports steering wheel and as standard. The Digital Instrument Panel also comes as standard. The 10.25” display screen gives drivers the option to customise the panel with 5 different display layouts. 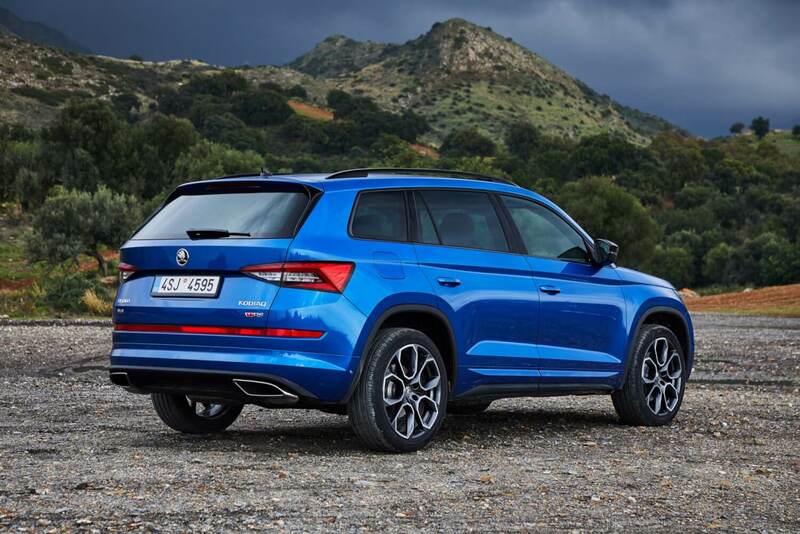 The ŠKODA Kodiaq RS comes fitted with the Simply Clever features of the Kodiaq that we’ve all come to know and love, from the door edge protectors, Area View giving you a 360-degree view of the vehicle and the handy Virtual Pedal. It’s also the first-ever ŠKODA model to offer Dynamic Sound Boost. This sophisticated system uses the data from the car electronic board systems and varies and intensifies the sound of the engine depending on the selected driving mode. This results in a “captivating and emotive acoustic experience”. With 7 seats as standard and a 5 Star Euro NCAP Safety Rating, the ŠKODA Kodiaq RS comes with a a good range of safety and driver assistance systems to keep Kiwis and their families safer on the road, all of which come standard. These include area view cameras for enhanced situational awareness, Park Assist, Lane Assist and Autonomous Emergency Braking. The all-new Kodiaq RS starts from $71,990 MRP plus on-road costs*, including a 7 speed DSG transmission, 4×4 capability and Digital Instrument Panel. 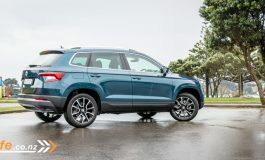 In New Zealand, the Kodiaq RS is also the first ŠKODA to be launched using online reservation. The first units available have just been released for RS fans who want to be in pole position for customer deliveries. 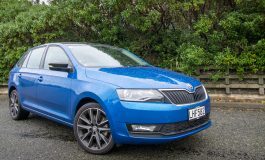 Customers can reserve at www.skodafinance.co.nz/skodadeposit/ by placing a $300 refundable holding deposit.